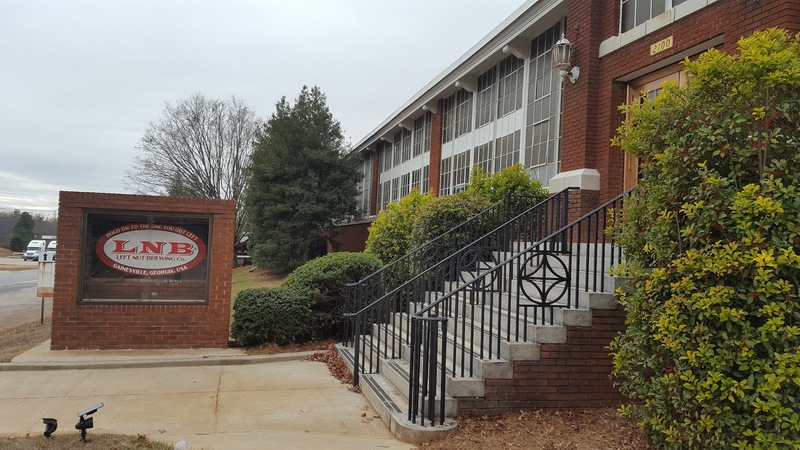 Traveling up to Gainesville, GA, we reached on old mill facility with the label “LNB” on the front steps. Left Nut Brewing has finally found a home after years in the making, and this facility is what any brewer would want! 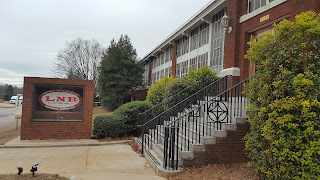 While this old Johnson & Johnson mill building does not have HVAC, it’s certainly worth the jacket you need; as you scan the building, you can find everything from the original Georgia Pine studs, to newspaper clippings about the mill’s history. As you walk past the rows of fermenters, tables, games, and extremely high ceilings, you’ll take in the history without even knowing it. I took the tour from one of the friendly workers and learned even more about the mill town, the brewery, and the beer. Stepping up to the bar, I was rewarded this a large selection of brews, and had to figure out which I wanted. I tried 6 different choices, and found that every one of them was very malt heavy; After discussing with a few others at the bar, they confirmed that all of the beers were very malty, and this was the main reason that they choose to come to LNB. While very malty brews are not at the top of my list, it does seem to be niche that is bringing in fans. Prior to LNB’s existence, the future founder sat in a room discussing with others their future hopes and plans. When it came to be his turn to speak, he proclaimed, “I would give my left nut to have a brewery!” When Left Nut was later established, they set their core value statement as, “Hold on to the one you got left,” which expresses not letting go of something valuable to you! Best Beer: Mighty Banyan Double IPA - This beer has an enormous malt body, which works to even out the hop bitterness you would usually experience in a DIPA. The rich maltiness also works to hide the 9% ABV, and gives a smooth and drinkable solution for those normally afraid of strong flavors.